Flora Aromatics is doing business since 2011. Company profile is import and distribution of vegetable and essential oils, supplements and beauty products. Miroslava Keuttounen is one of the leading Russian models who started her professional career in 1984 in Kyiv House of models. In Moscow, Miroslava worked in the House of models “On Arbat” and became the face of such companies as Wella, Elizabeth Arden, All Stars Dzintars, Yakutalmaz and Pierre Cardin. In 1992 she opened a production center Gloria. 1992-1996 "Gloria" provided a job for more than 400 models who participated in 95 advertising video clips and music videos produced by leading Russian producers. At the same time, Miroslava was a producer and director of three generic documentary films about Malta. After moving to the United States Miroslava continued her work in show business. 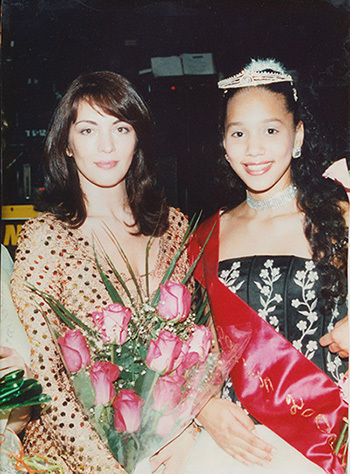 She created the Fashion Fox 21 Modeling and Talent School, children's TV program Magic TV on local Brooklyn TV, children's beauty contests Miss Teen Russ NY which had a huge public response. "To make a child a worthy person of our society, I put it as my main goal" - she said. Miroslava never stops on what she reaches. Since 2005 she has concentrated her efforts on developing a new business -cosmetic. As a continuation – launch of several online stores, store on Amazon and creation of distribution networks. As a consequence she initiated the development of her own brand. "The best thing that nature has created for maintaining our health is natural oils! ”My exclusive line for sure will win the hearts of the people who keep a healthy lifestyle and take care of their health, people who don’t want to consume low quality products. For me it is not only a business projects, it is a matter of honor ". Miroslava is one of those people who always finish up. She is positive and punctual, and definitely, she is the one you can trust.